Japanese fans have been saiyan it since July of last year, but Dragon Ball is back with a vengeance. The continuation to one of the most influential Japanese animations ever has taken its sweet time to receive the simulcast treatment, but fret no longer because fans outside the series' homeland won't have to wait Oolong at all. That's right. As of October 22, Crunchyroll, Daisuki, and AnimeLab are snatching up Akira Toriyama's comedic martial arts series. That means Aussies and North Americans alike can get in on the action. Each week's new episode will be available with English subtitles just one hour after the Japanese airing. No matter which platform you pick, the show will be available to free users and subscribers alike. Mai cup runneth over. For those unfamiliar with Dragon Ball Super, it's the midquel to the ultra-popular Dragon Ball Z. Taking place after the conclusion of Z's final saga but prior to its actual ending, it chronicles Goku's ten years of supposed "peace". Shocking spoilers: it turns out the unknown events during that period weren't actually so peaceful after all. Jokes aside, Super sees the earth being threatened by everyone from past villains to destructive gods. The latest episodes feature as much Tenshin(...han) as you're likely to find in Dragon Ball as a whole. There's going to be a slight catch during the early going, though. Only the ongoing Future Trunks story arc will be available to begin with, which actually begins at episode 47. Once October 30th rolls around, though, the streaming services will offer 10 of the older episodes per week. You may want to wait a little to get the full experience or you can simply Gohan undeterred. It's worth noting that the first 30 or so episodes of Super are mostly recaps of the two latest Dragon Ball Z films, so those are useful at filling in the details if you opt for the latter choice. Unfortunately, fans of the English dub voices will have to wait and see how things Pan out. Europeans can expect an announcement from Toonami Asia somewhere between fall and winter. America’s Funimation remains mum but hopeful. If you fancied Dragon Ball Z back in the day, you had Burter check this one out. 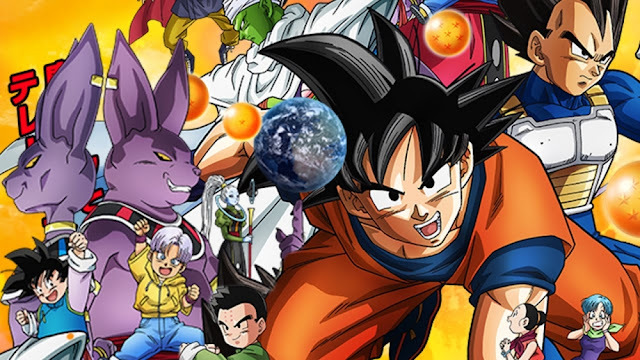 Item Reviewed: Dragon Ball Super gets English simulcast 9 out of 10 based on 10 ratings. 9 user reviews.